Weh Yeoh is making sure children are seen and heard. 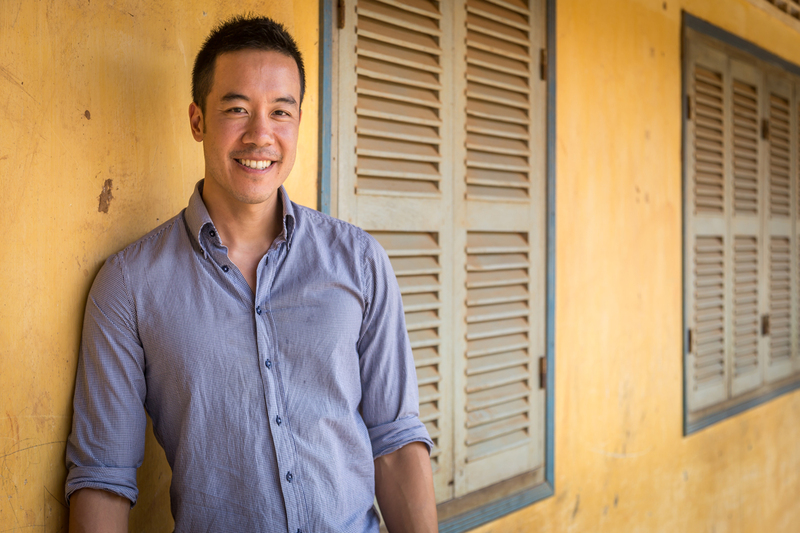 He is the founder of ‘OIC: The Cambodia Project’, which works with local organisations in Cambodia to help children receive speech therapy. Tell us a little bit about OIC: The Cambodia Project and where the idea came from. OIC: The Cambodia Project aims to establish speech therapy as a universally accessible, locally led profession in Cambodia. Speech therapists work with people who have a range of difficulties communicating, including children who are delayed in learning to talk and people who stutter, have voice problems or have acquired a communication disability due to stroke or brain injury. When I came to Cambodia in 2012, I began working with CABDICO, a Cambodian organisation working with people with disabilities. Over and over again, CABDICO staff told me they often saw serious communication and swallowing disabilities, which they did not have the speech therapy skills to treat. Research and conversations with many organisations showed this was the norm. 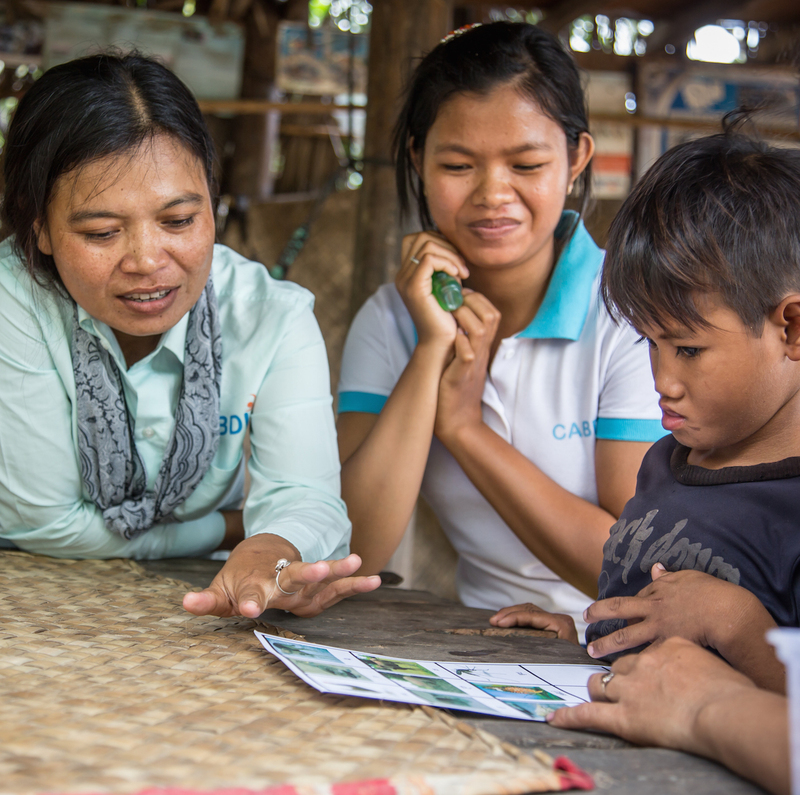 Though one in 25 Cambodians need access to speech therapy, most organisations didn’t know how to provide this service. Cambodia did not have any university trained local speech therapists. Learning of the lack of speech therapists, I was angry and confused. The systems I had learned about in university, which supposedly address the needs of the world’s poorest people, had failed many in Cambodia. 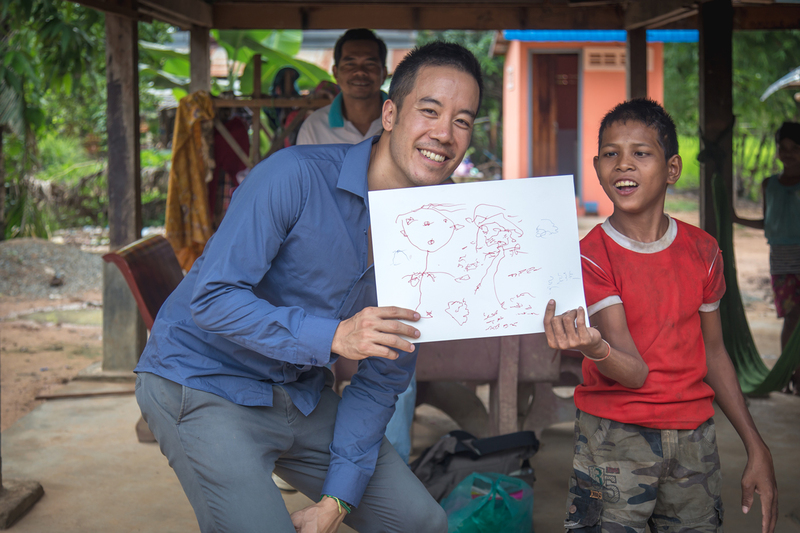 How could there be not a single speech therapist in Cambodia? Not one! My anger turned to determination. I simply could not afford not to act. As a result, I started OIC in July 2013 as a project of CABDICO to address this gap in speech therapy services. Speech therapy issues don’t always get a lot of attention, but you recently got the United Nations’ attention, didn’t you? Yes, and this is a really significant moment I think. It’s worth taking a step back to think about how issues in developing countries are addressed, and generally they come from the top down. This is why, although speech therapy affects one in 25 Cambodians and the repercussions of no speech therapy are dire, there is not one local speech therapist in Cambodia. 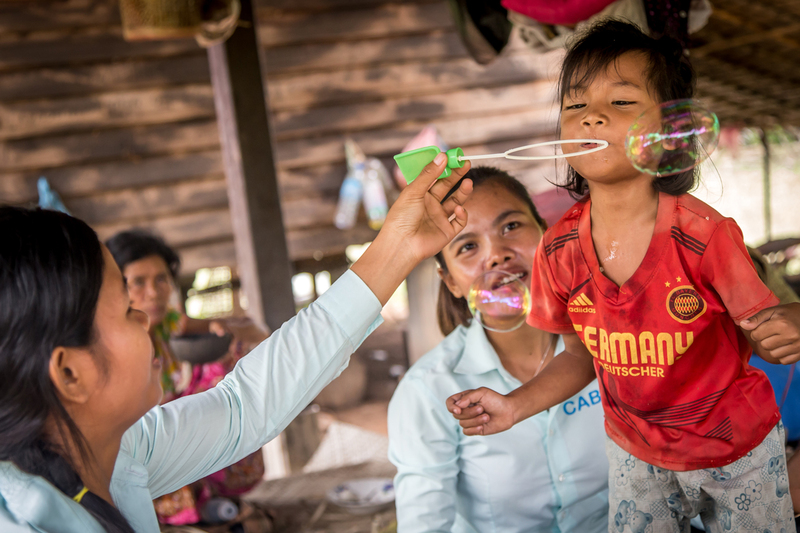 As far as I know, the UN has never supported speech therapy in Cambodia, until this year, when after the United Nations Children’s Fund awarded us a grant to train community volunteers to identify children who need speech therapy. We know they are out there, now we need to find them. Getting a new organisation off the ground is always challenging. What has been the hardest thing you have had to work through? OIC was established because the existing systems of international development do not support issues like speech therapy, despite the enormous need and value of this. Our biggest challenge, and therefore our biggest achievement has been increasing the awareness of what speech therapy is and how lives can be changed by it. We’ve seen time and time again how someone’s life can be changed, and we want to spread this positive message to others. As well as managing OIC, you also oversee the fundraising. Can you tell us a bit about the ‘Birthday Heroes’ and the ‘Day Without Speech’ campaigns? Sure thing. Both of these initiatives are good ways for people in Australia or elsewhere to get involved. Birthday Heroes allows people to pledge their birthday to support OIC. Instead of receiving socks, One Direction albums or other presents, people can give towards a dedicated fundraising page to support the work OIC is doing. Day Without Speech is a new initiative we are piloting in schools, companies and other organisations, where participants will not talk for a certain period of time and are sponsored to do so by their family and friends. At the end of it, we send in volunteers to debrief and educate the people on what speech therapy and OIC are all about. It’s as much about learning as it is about fundraising. You have volunteers and staff spread around Australia and in Cambodia. How do you keep people motivated and stay motivated yourself? I’m motivated by people and I find that others are often the same. 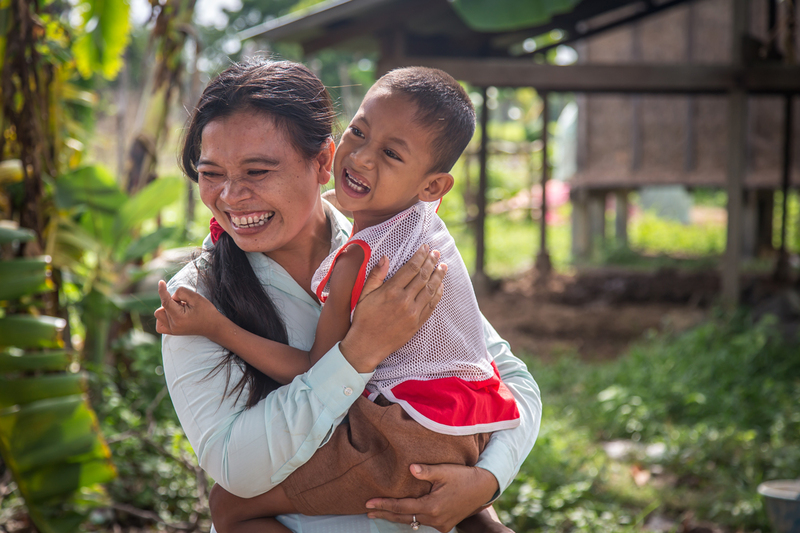 Working with OIC has allowed me to see incredible changes in the lives of children with disabilities in Cambodia, who have been ignored for a long time. I’ve also witnessed huge changes in the volunteers and staff as well, and that’s incredibly motivating. There have been many occasions where people have told our team that what we are doing is impossible and that establishing speech therapy as a profession cannot be done in Cambodia. But when someone says that something cannot be done – to me, that is a sign that we’re on the right track. It cannot be done is not the same as it shouldn’t be done. It cannot be done simply means that they cannot see a pathway to get something done. Disability worker Phearom with six-year old Vai Vin. Do you have a favourite memory or story you can share about your work? Two years ago I met Ling, a 10-year old boy who lives in one of the poorest parts of Cambodia. I visited Ling’s home with staff of CABDICO, a Cambodian organisation that works with children in remote villages and provides basic disability services. At that time, Ling slurred his speech due to cerebral palsy and people had difficulty understanding him. Due to his inability to communicate, he had no friends, could barely communicate with his family and members of his community assumed that he was stupid. And yet, from spending only a few minutes with him, we could see that behind his communication impairment, Ling had a personality that was trapped. But people around him could not see past his inability to speak clearly. We decided to train Phearom, a Cambodian woman who works with CABDICO, in basic speech therapy techniques. As part of her training, Phearom would go out to Ling’s house and work with him. Bit by bit, Ling’s communication improved to the point that he could string sentences together. All our hard work paid off. At the age of 12, Ling started going to school for the first time. Now, he’s not just participating, he’s excelling. He is coming second in his class. Ling also quickly became popular among his circle of peers. From once living in isolation and unable to communicate with those around him, Ling now jokes that he has “too many friends”. What is the one big goal or dream that you are focused on for OIC? 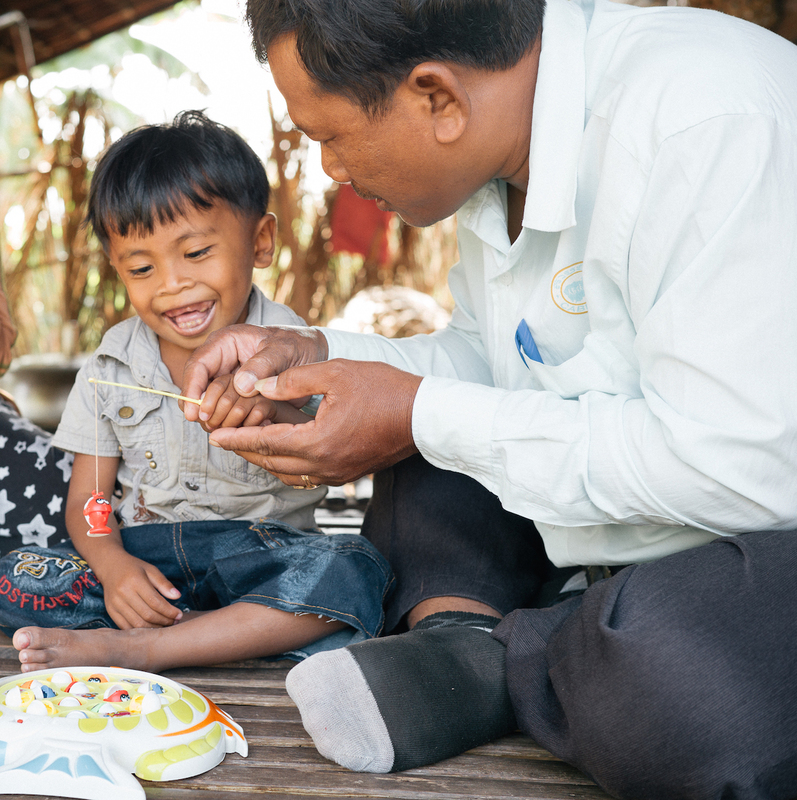 We want to see a Cambodia where each of the 600,000 people who need speech therapy is able to receive it. It’s an extremely ambitious goal to establish a profession in a country where it does not yet exist, but one that we believe is worth fighting for. If there was one person you could sit down and talk with, who would it be and why? I wish I could have sat down with Fred Hollows to understand more his motivation, his philosophy and how he managed to achieve the things he did while he was alive. Having followed what the Fred Hollows Foundation has achieved, I’m incredibly inspired by what Fred started. Who would have thought that eye care in poor communities would be something that so many Australians would begin to care about? Similarly, we will raise the importance of speech therapy and bring attention to a much needed cause. It’s great that there is a precedent for this in Fred’s work, and we hope to emulate the success that the Fred Hollows Foundation has already achieved. What single biggest thing you would like people to learn, know or understand about OIC? I would like people to understand that speech therapy, along with all the other issues that the world faces, is important. That when you see how a life can be changed by the ability to communicate, which is a fundamental human right, you will truly understand how important this is for a country like Cambodia. 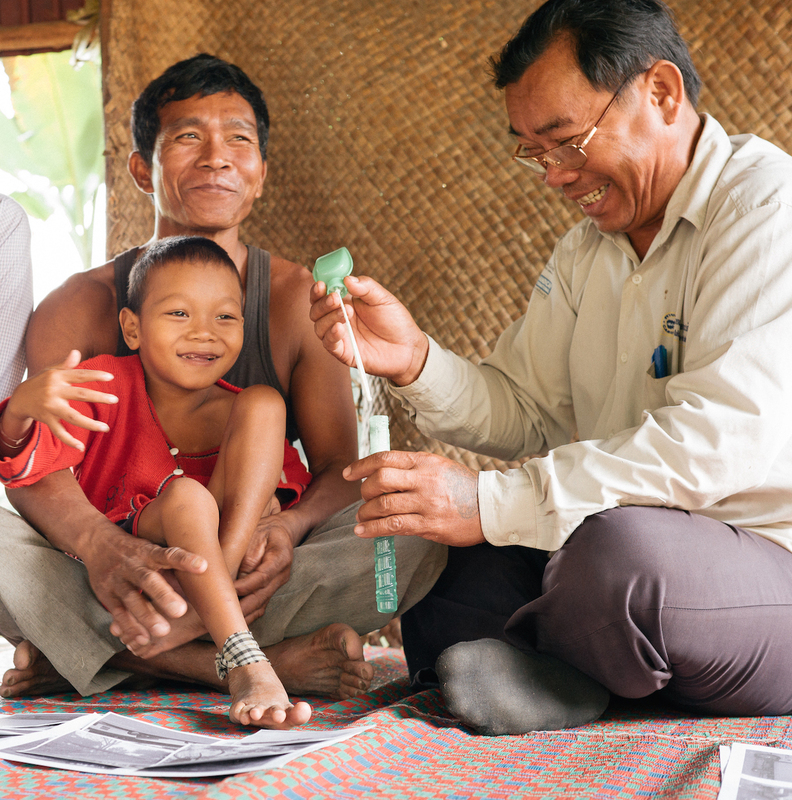 In Cambodia, one in 25 people need speech therapy. And yet, there is not one local speech therapist. This means that many people are unable to access work, education or have friends due to an inability to communicate. We also estimate that Cambodia loses over $400 million a year due to people being unable to participate in the workforce. Finally, because they cannot swallow food and liquid safely, there are many people who are dying due to pneumonia or simply malnutrition. Speech therapy can address all of these issues. In five words, how does making OIC happen make you feel? Whole. Passionate. Purposeful. Inspired. Loved. You can learn more about OIC: The Cambodia Project on its website, or by liking them on Facebook, or following them on Twitter. OIC also has videos with more information on Vimeo. You can also follow Weh on Twitter, and read more about what led him to work in the field he does in his article he wrote for The Huffington Post. I can’t begin to image what it would be like to not be able to communicate with my child. And here we have a nation where communication disorders and inability is rarely acknowledged. Thank you Weh and the OIC project for bringing this to out attention.